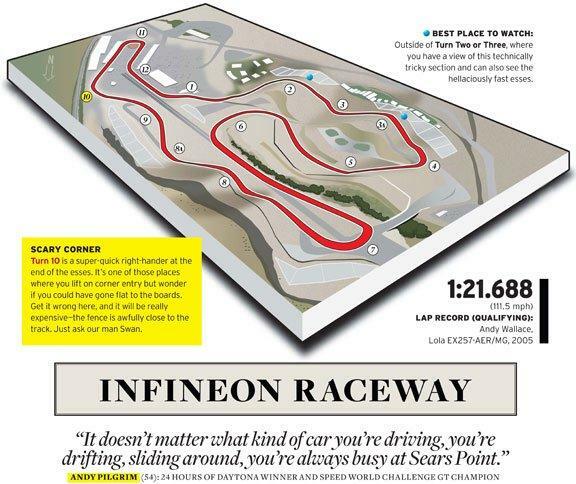 https://en.wikipedia.org/wiki/Sonoma_Raceway Sonoma Raceway, formerly Sears Point Raceway and Infineon Raceway is a 2.52-mile (4.06 km) road course and drag strip located on the landform known as Sears Point in the southern Sonoma Mountains in Sonoma, California, USA. Only 0.1s faster than another SUV that’s half it’s price? This trap speed is incredible. Fastest 4 door car. 14861 lap times and 26343 acceleration times for 5580 cars and 40 bikes.